We offer 2 great locations !!.. 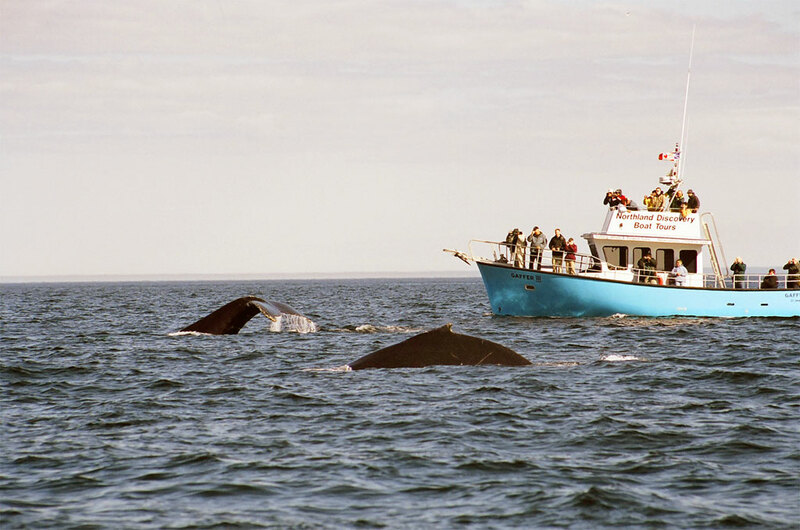 Enjoy boat tours, whale watching, hiking, wildlife and nature - all while you are here! Visit nature's wonders, the rugged ocean coastline, witness the majestic spirit of whales and icebergs, and the rich history that we offer. Our region contains some of the most unique attractions in the world. 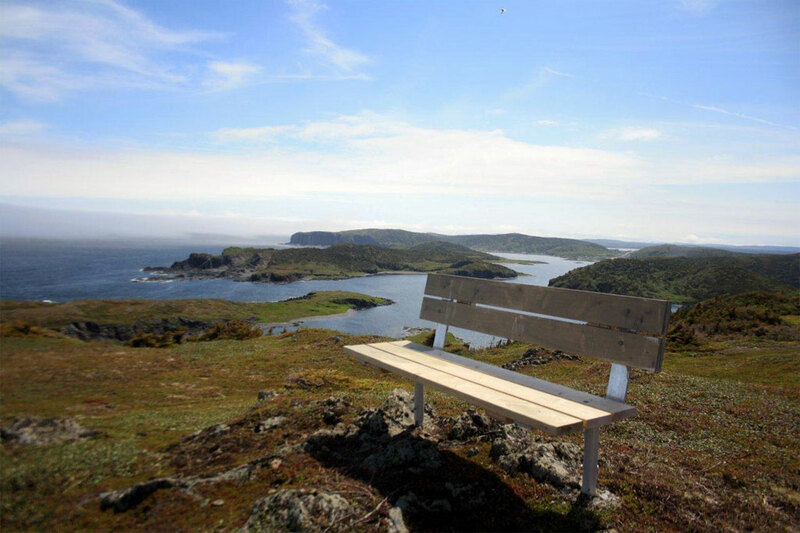 Discover what the Northern Tip of Newfoundland offers those who explore this area. 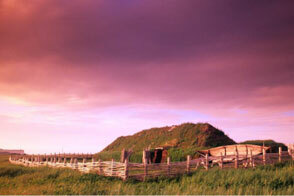 In the past four to five thousand years, many people have lived at L'Anse aux Meadows. Some stayed longer than others. Among these people was a small group of Norse sailors. The remains of their camp, discovered in 1960 by Helge and Anne Stine Ingstad, is the oldest known European settlement of the New World. 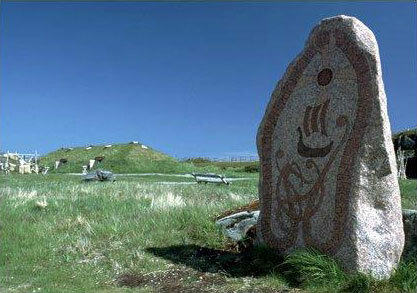 The archaeological remains at the site were declared a UNESCO World Heritage Site in 1978. 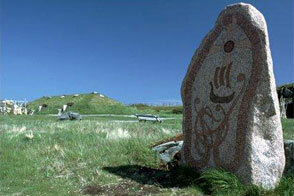 Exhibits highlight the Viking lifestyle, artifacts, as well as the archaeological discovery of the site. 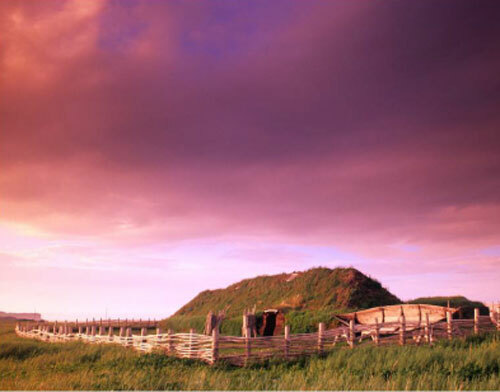 In addition to the interpretation of the Norse settlement, L'Anse aux Meadows offers hiking trails, picnic sites, and a gift shop. Bilingual guides are available from mid-June to Labour Day (the first Monday in September). The site, visitor centre, and washrooms are wheelchair accessible. Closed captioning of the bilingual audio-visual presentation is available on request. Norstead Viking Village is a non-profit organization that was created to take history out of the exhibit case and place it in the hands of visitors. Join costumed interpreters in the dim light of the Viking-style Chieftain's Hall and listen to mysterious Viking tales. 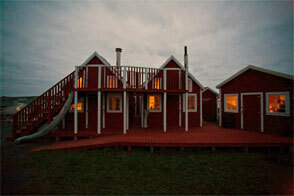 Step aboard the full-scale replica of the Viking ship 'Snorri'. Learn how the Vikings mastered the North Atlantic. Use a simple notched stick to measure distance by the stars. Get your 'runes' told by the wise women. Shape clay into pottery the way the Vikings did. Spin sheep fleece into yarn using ancient drop spindle technology, dye the yarn using local plants and berries and then weave it into cloth at the loom. Norstead replicates a Viking port of trade as it may have looked during the Viking era (790-1066 AD). The four-hectare site has a boat shed with its very own Viking ships, including the 54 foot replica Viking knarr which sailed from Greenland to L'Anse aux Meadows in 1998 with a crew of just nine men. The Dark Tickle Company is located in St. Lunaire-Griquet, on the Great Northern Peninsula in the province of Newfoundland and Labrador, Canada. 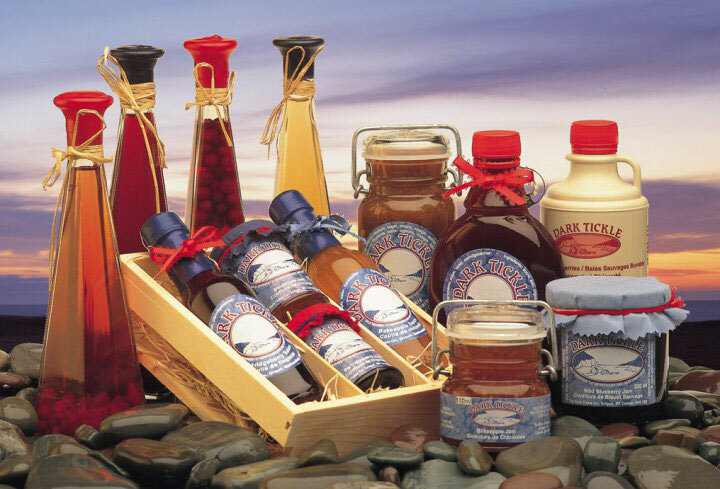 We manufacture jams, sauces, vinegars, teas, drinks and chocolates from unique wild berries. Our focus is to offer a taste of the unique handpicked wild berries of Newfoundland and Labrador. These include the bakeapple (cloudberry), partridgeberry (lingonberry), crowberry, squashberry and wild blueberry. These berries, picked by hand, are carefully processed without additives resulting in a quality product that is both distinctive and delicious. Visitors can watch the transformation of wild berries into our various products through our windowed production area. Learn as they are interpreted on our boardwalk. 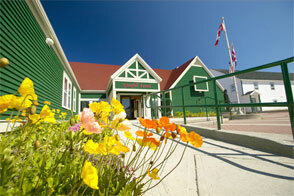 We also have one of Newfoundland's leading art & gift galleries! With a variety of trails which offer incredible beauty and solitude, the Northern Peninsula is truly a hiker's haven. It is advisable to wear rugged shoes (preferably waterproof) to allow complete flexibility. Northern Newfoundland terrain is extremely diverse and rocky. However, there is a multitude of fully groomed trails and boardwalks - which are easily accessible for all people and abilities. Remember to dress in layers, pack a lunch and bring liquids. Always tell someone where you are going. Click on link provided below for descriptions and locations of regional trails. Our region has the longest whale watching season in North America. This is due to the immense capelin feeding grounds, which surround our area. Capelin is also the key food of the Atlantic Cod & many other fish. Don't miss the spectacular array of whales, dolphins, porpoises, seals and other ocean mammals. Take a boat tour - or view whales all summer long from Fishing Point (or one of our many regional hiking trails, which follow along the ocean). 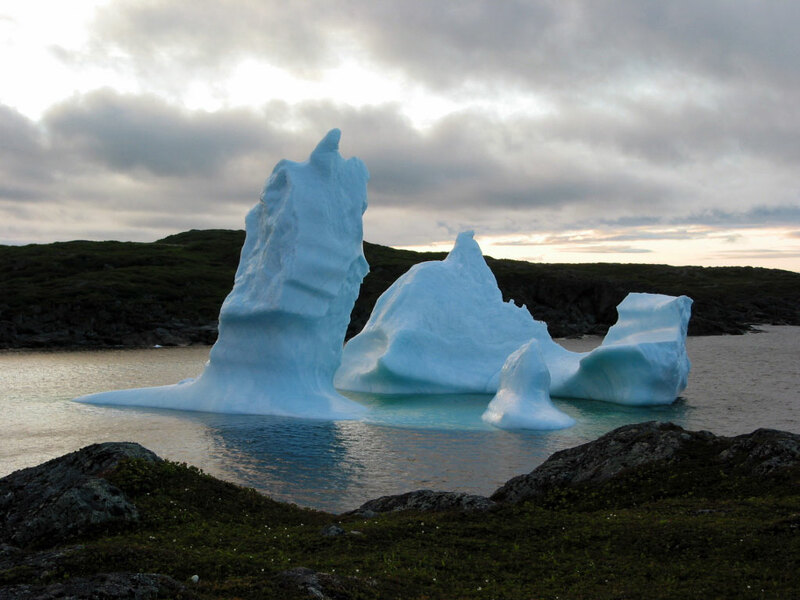 90% of icebergs seen in Newfoundland and Labrador come from the glaciers of western Greenland. From May thru July and sometimes in August, you can view majestic icebergs and large whales right off of our shores and cliffs. 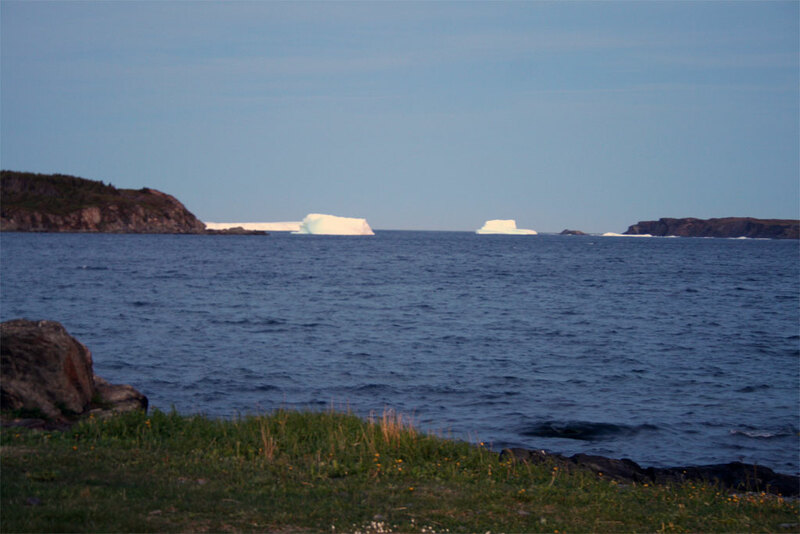 To find out if there are currently icebergs in our area, click the link below. Burnt Cape Ecological Reserve is surrounded on three sides by cold waters from the Strait of Belle Isle. The peninsula of Burnt Cape has some of the most arctic conditions in Newfoundland. 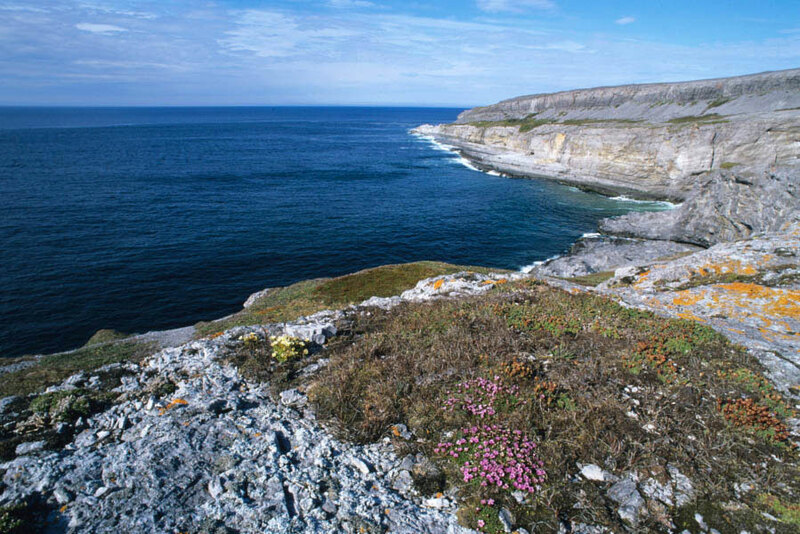 But it is exactly this cold climate, along with a unique landscape and calcium-rich soil, that allows northern plant species to grow here in a rich and rare variety. Visitors to the Cape should be prepared for a chilly time, even in summer. Frost can occur in any month of the year, and there is frequent rain and fog. 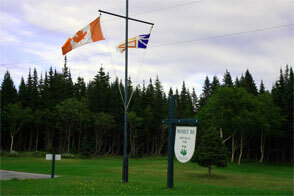 The growing season in the Strait of Belle Isle Barrens ecoregion is the shortest on the Island. Yet, the Cape can be a wonderful place to see rare plants, watch passing icebergs, find fossils and unique geological features, and spot whales, wildlife, and birds. Most people visit the reserve during the summer months. This is when most of the plants are in bloom, icebergs and whales appear offshore, and many birds use the Cape for breeding. Can be accessed year-round. No fees associated with visiting the Reserve. Located just 32 km away from Straitsview - in the beautiful community of Raleigh. Pistolet Bay Provincial Park has a diverse eco-environment with many types of plants, trees, and shrubs as well as an abundance of wildlife. 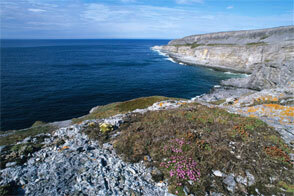 The nearby Strait of Belle Isle provides opportunities to view marine mammals and seabirds. The park offers campsites with fireplaces and picnic tables. A day use or picnic area is equipped with picnic tables, garbage cans, drinking water tap, pit toilets, and swimming change houses. A swimming section has been roped off on the beach in the day use area for your safety. Pistolet Bay Provincial Park also offers a tremendous opportunity for the canoe enthusiast who can take a major excursion on a nearby lake system. Brook trout are the most common angling species within the park boundaries. There are rules and regulations concerning angling so check with park staff before wetting the line. Located 25 km away from Straitsview (on Route 437, 12 kilometres off of Route 430). Raleigh Historic Village offers the recreation of a 1940's historic fishing village. Nestled away on the northern tip of the island of Newfoundland, lies the quaint town of Raleigh. With humble beginnings and an arduous struggle for existence, this tiny town of 260 people will surely capture your heart and unleash your sense of adventure. 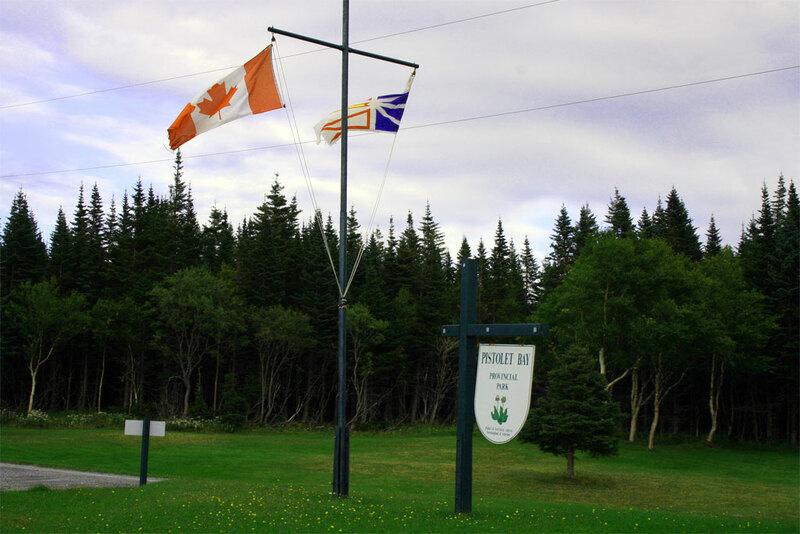 This attraction offers you the chance to experience the heart of outport Newfoundland and Labrador. It extends you the opportunity to capture the spirit of our colonizing forefathers, so that you might understand the richness of our heritage, and the pride of our people. Located in the scenic town of Raleigh (28 km away). Join the Alcock family for an award-winning Newfoundland boat tour experience. 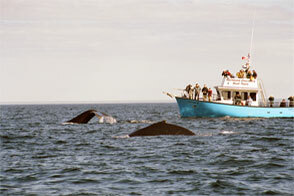 Iceberg tours, whale watching and seabird tours are just some of the highlights. It's an exciting ecological and cultural journey into our unique heritage. Our destination - the scenic coastal waters off St. Anthony, Newfoundland - Iceberg Alley - an area famous for its bounty of icebergs, whales, dolphins and seabirds. During your thrilling 2 1/2 hour tour, we will captivate you with a live interpretive program on our marine wildlife and culture. It's a refreshing blend of nature, education and hospitality that you will never forget. The boat departs from the waterfront behind the Grenfell Interpretation Center, St. Anthony. This is where the ticket office is also located. There is ample parking space for cars and buses. We suggest that you arrive at least 30 minutes prior to departure time. Located in St. Anthony (28 km away). Grenfell Historic Properties are located in St. Anthony (28 km away). The properties celebrate the presence of Sir Wilfred Thomason Grenfell, and the impact that he and his worldwide mission had on the social, medical and economic climate of the early 1900's. 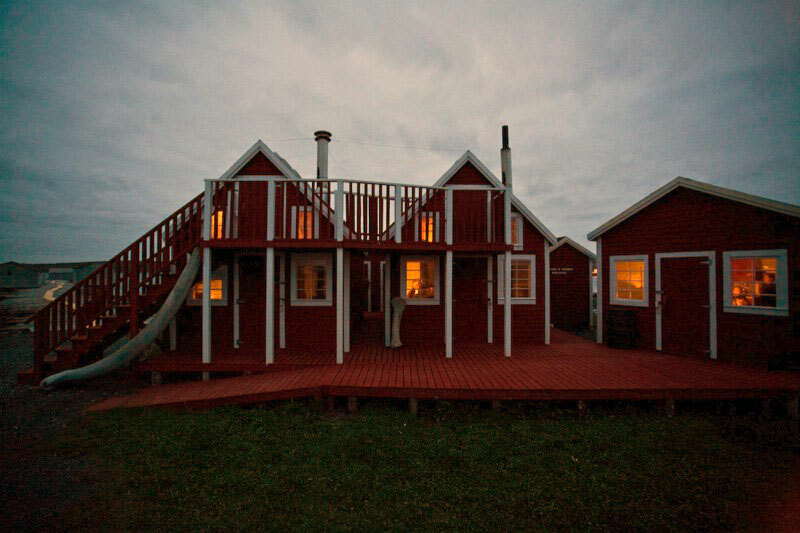 The historic properties equally tell the story of the evolution of Northern Newfoundland and Labrador and the people of the region over the last 100 years. Grenfell Historic Properties is a first class international tourism destination with annual visitations of more than 12,000 people. This includes more than 80 motorcoach visits, cruise ship visits, caravans and the travelling public. Share in the adventures & accomplishments of Wilfred Grenfell, a highly determined doctor who contributed greatly to the heritage & ultimate success of St. Anthony. Begin your visit at the Grenfell Interpretation Center and relive an era that depicts the history of a determined people. Be sure to visit Dr. Grenfell's longtime residence (Grenfell House). The Iceberg Festival is a regional festival that happens every June at the very top of the Northern Peninsula. 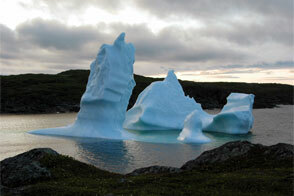 It celebrates the coming of spring to the north of the island and the annual arrival of the icebergs. The Northern Peninsula has always been recognized throughout the world as Iceberg Alley so you won't have any trouble finding 'Islands of Ice' here! The Iceberg Festival features iceberg experts, boat tours, traditional music, nature walks and Newfoundland food & hospitality. Dip your toes into the North Atlantic! Have a dance! Eat seafood fresh from the sea! If you want breathtaking landscapes and seascapes, fantastic fare, and good company, you belong with us. Join us at the Iceberg Festival!